Just seven months ago, I was asked to speak as the keynote address at the Hospice of the Western Reserve annual meeting. Feels like a lifetime has passed since I stood on stage. But three years ago today, we lost a beautiful woman to a horrible disease. If seven months feels like a lifetime, three years must be eons ago. It's no secret that I miss my Mom terribly. So does Amara. She and I both still cry over her loss. I did not know how to honor her memory today - I've said all that I can. So for those who did not have an opportunity to hear me speak, here is an abbreviated copy of what I said. Rereading this is just as difficult as reliving the day Mom died. For those that knew my Mom, I hope it reminds you of her generous spirit. And for those of you that never met my Mom, I hope it inspires you to hug your loved ones tight. Caregivers comfort without any effort at all. It’s a skill that is not taught in any classroom. At the core of every caregiver is the innate ability to understand the needs of another. Caregivers are individuals we want filling our world, stepping foot in our daily lives. My Mom was a caregiver. I come from a family of nurses. Me? I work with words. I was bitter throughout my Mom’s entire illness. My Mom died two years ago, and I still find myself angry. At the mention of her name, I cry. For months, I hated driving to one of my best friend’s house because it meant driving past the East 185th Street exit for Hospice House. I often replay in my head Mom’s last months, questioning if I had done enough. I didn't “care” for Mom. I wasn’t even her favorite child. I was just being her daughter. I used to work in television news. I would always hate when a person passed, and all of a sudden everything about him or her was glowing. People would wax poetic. He was a good person. She was loved by all. I couldn't do that for Mom. I loved my Mom. She was a good wife and mom, loyal friend and compassionate nurse. But the cancer ate at her heart. It made her mean and resentful. And in turn I became mean and resentful too. Pre-cancer, my Mom literally took care of everyone in every way possible. If you knew my Mom, there was God, her family, then donuts. So one year, the day after Easter, she went to church and decided to satisfy her sweet tooth. It came as no surprise it was not the hospital that called to tell us my Mom had suffered her first (and only) seizure and was being flown to the Cleveland Clinic. It was members of our community who saw her being transported by paramedics. The phone chain began until it reached me. My Mom touched the lives of so many. I was pregnant with my daughter, my Mom's first grandchild, when Mom was diagnosed with a malignant brain tumor. Glioblastoma Multiforme. Remember, Mom was the nurse. So who knew I could pronounce that, much less learn so much about it? Doctors said the cancer my Mom fought daily as an oncology nurse would likely take her life before my daughter's first birthday. My Mom taught clinical courses. So how was it now that this disease would end her life? Yet just as my Mom encouraged her patients to be strong, to accept help, and to enjoy life, she did the same. For six years, the tumor would rear its ugly head. And my Mom did everything she could: chemo, radiation, experimental treatments, surgery after surgery after surgery, whatever it took for her to see many of not only my daughter's milestones but that of my newborn nephew. But one day, we noticed a change in Mom. It happened in an instant. I didn't need a doctor. I knew. We all did. But no one said a word. So my family did what any family would do. We packed everyone up and headed to the happiest place on earth, just as we had done so many times in the past. There was no talk of cancer or tumors or death, only Mickey, Minnie, and maybe Goofy. Mom always loved Pixie Dust. Two days after returning from Disney, doctors told us nothing more could be done. One week later, Mom entered hospice care. I knew next to nothing about hospice. I work with words. And the word “hospice” made me shudder. But I knew I wanted Mom to receive the best care. So I started to do my research and became overwhelmed with the sheer amount of information coming my way. And selfishly, I wanted Mom close to me. Mom was in Summit County, me in Lorain County. East vs. West. I already felt defeated. 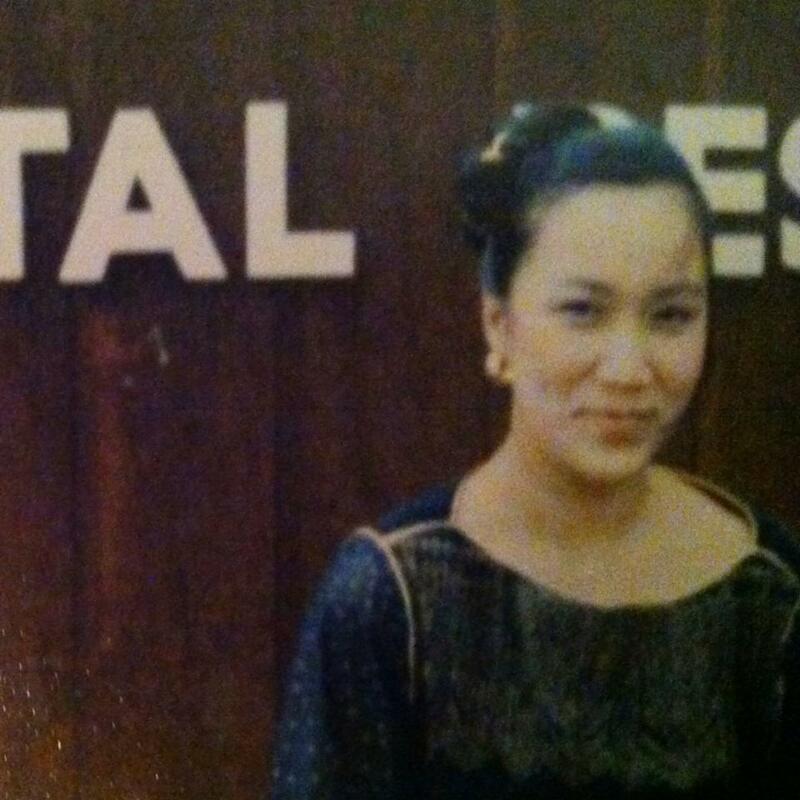 When tragedy struck our family, we knew this horrible disease would destroy my Mom's mind. But if there was one thing my Mom firmly had a handle on, it was her decision to be with the Hospice of the Western Reserve. It was as if this was Mom's final way of taking care of us. She was again being the caregiver. Mom always spoke highly of Hospice - to patients and to her friends - so she insisted they care for her during her final days. After two trying days of home care, Mom entered into Hospice House. I felt this profound loyalty to my Mom, but at the same time, guilt. I knew our days together were limited. But I had a daughter. I was the mom of a kindergartner, and I had a responsibility to her. Add a full time career, and I don't remember much. What I do remember is how the staff treated my Mom with such respect, even when she was unpleasant and demanding. My Mom was a high maintenance woman. My Mom dressed to the nines and would never leave the house without being dolled up. It was no different at Hospice House. She would worry about what pj's she wore or how her hair looked. But what frustrated her most at the beginning was the loss of her independence. One morning, I left Mom earlier than usual and as soon as I disappeared, she immediately called for her nurse. Mom insisted her makeup bag be brought to her. Remember, Mom was high maintenance so this was no small bag. It was a case. And it was three in the morning. Recognizing this, the nurses asked if she needed help. And my Mom politely declined. I returned that morning, not knowing what had happened overnight, and as soon as I walked into the room, I began to laugh. My Mom very smugly looked at me and explained she was tired of relying on others to dress, go to the bathroom, or simply walk. So she wanted to prove she could still put on her own makeup. Unfortunately for my Mom, it wasn't makeup. There was a black Sharpie mixed in with her cosmetics, and she generously lined and filled her lips with it. And the nurses, in an attempt to not humiliate my Mom, would simply ask her to "blot." That was Mom. And that truly is Hospice of the Western Reserve. This was about the time Mom began losing her verbal and cognitive abilities, I too changed. I was exhausted. So I accepted Hospice's invitation to "live" with Mom. I had been catnapping on the green recliner in the corner of Mom’s room. But the staff at Hospice House brought me a bed with fresh linens. I was able to do laundry, shower, watch television in the lounge, and use the family kitchen so I could forgo fast food for every meal. I did all of this so I could stay at my Mom's side. Hospice [became] a place for my Mom to spend her last days with dignity. It's a spot where she – where we - could celebrate life. So one by one, group by group, people flocked to see Mom with food, flowers, and music. If you know us Filipinos: We. Are. Loud. And we know how to celebrate. We know how to party. It was a party nearly every night. No one at Hospice ever complained about my family or our friends. In fact, they knew us so well, they would bring in my daughter's favorite candy or accompany her to the children's room. They would ask about my sister and her family in Columbus. We “trick or treated” at the nurses’ stations for my nephew's first Halloween. They became our family. And that helped put me at ease when I needed to leave Mom for a few hours. I was the only member of my family that did. Again, Mom was taking care of me. I relive that moment in my Mom's room in the east wing often. Her room overlooked the garden. It was a cloudy Friday morning. It was just me, my Mom and her pastor but it seemed so chaotic. And all of a sudden, the room turned silent. What I did was not noble. I made no great sacrifices. It was painful. I look back and still question why her, why my family. How unfair it was for her life to be cut short. How unfair her death is to my daughter, my nephew, and my niece who never had a chance to meet my Mom. And I’m sorry all of you didn’t get to know Linda Jimenez. If my Mom was here, she would tell me she’s proud of our family. She would express her gratitude to Hospice of the Western Reserve for recognizing the need for a second residential House in Northeast Ohio so families wouldn’t have to endure the mind numbing drive I often did. Mom would tell nurses in the crowd you are all overworked and under-appreciated and underpaid. And Mom would tell all of you as caregivers that it's ok to question, it's ok to want a break, and it's ok to let go because ultimately, your work never stops. And most importantly, she would say the work you do is difficult but truly needed and amazing. Thank you for all you do. And thank you again for allowing me to share the kind of caregiver my Mom was.